Potential Continuation Zone was introduced first in the book: Guide to Precision Harmonic Pattern Trading: Mastering Turning Point Strategy for Financial Trading by Young Ho Seo. Here we will show you how to improve your Harmonic trading marginally using this powerful PCZ concept. As it was shown in the book, good harmonic patterns for your trading have a well balanced Potential Continuation Zone and Potential Reversal Zone. 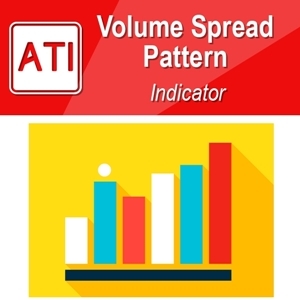 Typically harmonic patterns with good spread of PCZ levels will help your trading immensely. In this technique, you will be looking at those harmonic patterns in higher timeframe first. Then lock the pattern in your chart. Now change your timeframe to lower like M30 or H1 or H4, etc. You will wait for the formation of Harmonic pattern near the PCZ level of higher timeframe. 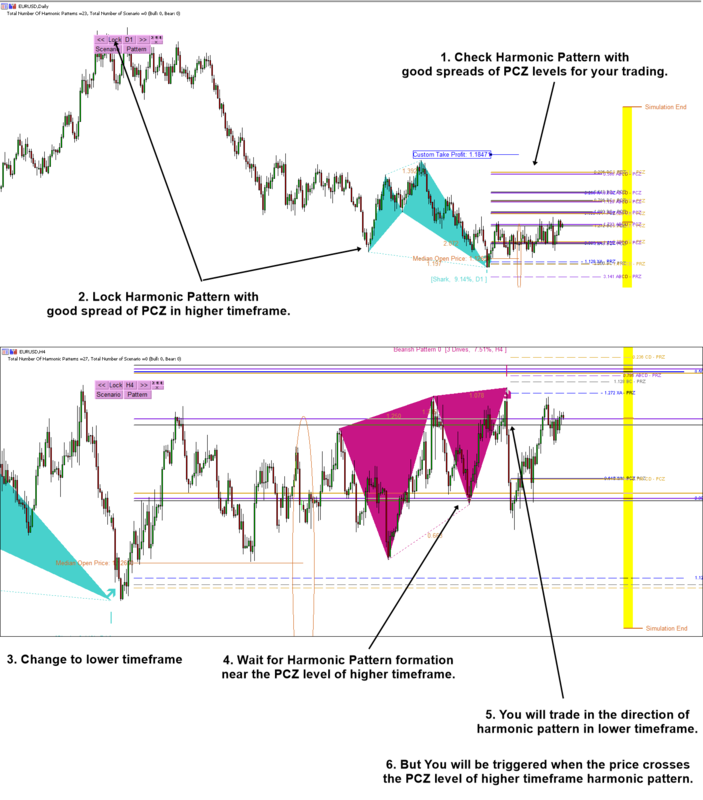 Once you have found the harmonic pattern near PCZ level, then there is potential entry for you. You will be triggered when the price crosses the PCZ level and you will trade in the direction of Harmonic pattern in lower timeframe. This is one of the technique you can trade with Potential Continuation zone. If the formation of harmonic pattern in lower timeframe coincide with Potential Reversal Zone of higher timeframe, you can still make the same trading decision as I have described before. With this technique, your accuracy of harmonic trading will increase marginally. This technique works well because you have good grab of market insight in both higher and lower timeframe. Here is further tip when you are using Harmonic Pattern Scenario Planner. In this case, you will follow step 1, 2 and 3 in the screenshot. With Harmonic Pattern Scenario Planner, you can predict potential harmonic pattern formation in advance in lower timeframe. So you could anticipate at which level you will be trading before other trader. 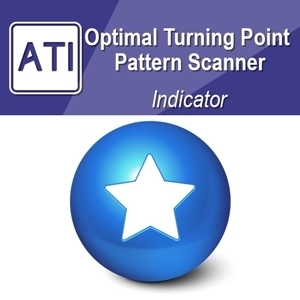 Prediction future harmonic pattern is real good stuff from Harmonic Pattern Scenario Planner. As it was mentioned in the book: Guide to Precision Harmonic Pattern Trading, your best harmonic pattern trading opportunity will appear when you blend the three concepts well in your trading including Potential Reversal Zone (Scott Carney), Potential Continuation Zone (Young Ho Seo) and Pattern Completion Interval (Young Ho Seo). We hope you to become truly incredible trader with our cutting edge trading technology.